Land Rover will kick-off its 70th anniversary celebrations with the launch of the Range Rover SV Coupe. Set to be launched at the Geneva Motor Show in March, the two-door 4x4 SUV will be hand-built in the UK and limited to just 999 examples. 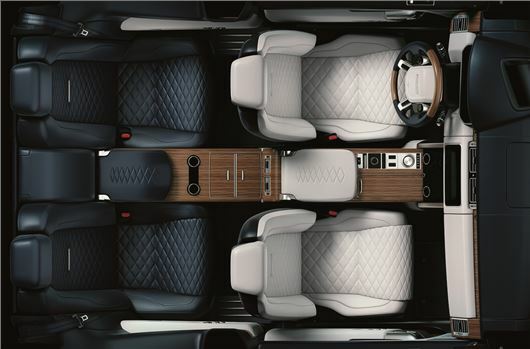 Prices will start in the region of £200,000 when the Range Rover SV goes on sale in the spring. Paying homage to the original, the Range Rover SV Coupe SUV will most likely be powered by a 565PS 5.0 litre V8 supercharged petrol engine. This means straight line performance will be sports car rivalling, with the 0-62mph sprint taking just five seconds. The top speed will be electronically restricted to 155mph. There are also rumours that a plug-in hybrid powertrain will make its way into the two-door Range Rover, with a 300PS petrol engine and 85kW electric motor delivering a combined 404PS. If true, expect the PHEV to cover up to 31 miles from a full charge and emit just 64g/km of CO2. The teaser image - shown in our video - indicates that the SV Coupe will be far more luxurious than the current range-topping Range Rover SV Autobiography. Expect a hand-assembled interior that'll feature four huge leather seats, handstitched quilted fabrics and a wood finished centre console that'll stretch from the front to the rear of the car. The dashboard will be dominated by Land Rover's latest Touch Pro Duo infotainment system, with two high-definition 10-inch touchscreens providing easy access to media and navigation. The front seats will also get heating and massage functions, however, owing to the fact that the SV Coupe only has two doors, passengers will have to unceremoniously climb over the large, armchair-like front seats to get in and out.